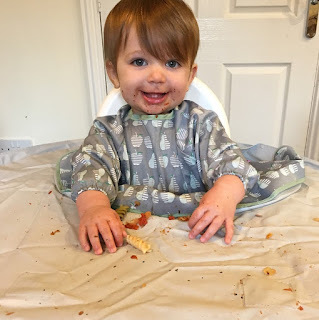 When it comes to baby led weaning we all know that it is messy. I've done baby led weaning with all 3 of my children so I know exactly how messy it can get, there is food all over the highchair, the floor, the baby and even sometimes the wall! So while it is important to embrace the mess and let your child explore food at their own pace it doesn't mean that you need to invest in a carpet cleaner just yet. 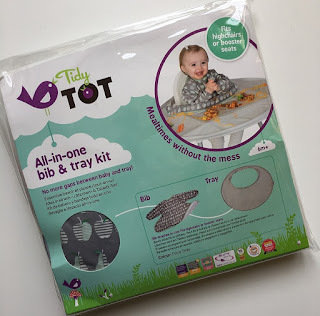 We've been fortunate enough to have been given a Tidy Tot Bib and Tray Kit to try out and oh how I wish I had this first time round for weaning. 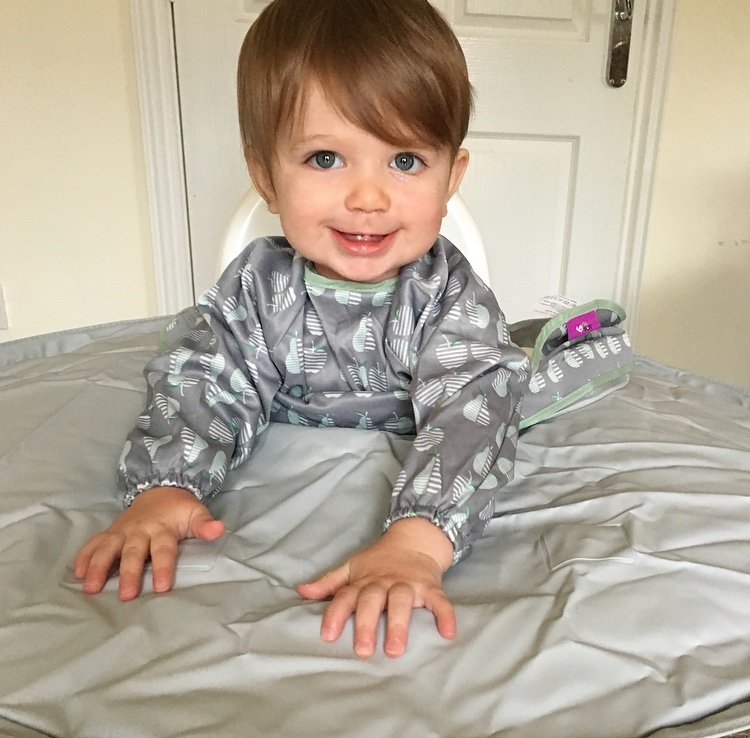 The Tidy Tot Bib and Tray Kit is a bib and a tray that attaches to each other and onto highchairs and booster seats ensuring that there are no gaps between your baby and the tray. The bib comes with long sleeves so the only part of your baby that should get messy is their face, and potentially their head because well we all know that babies like to touch their heads when eating! 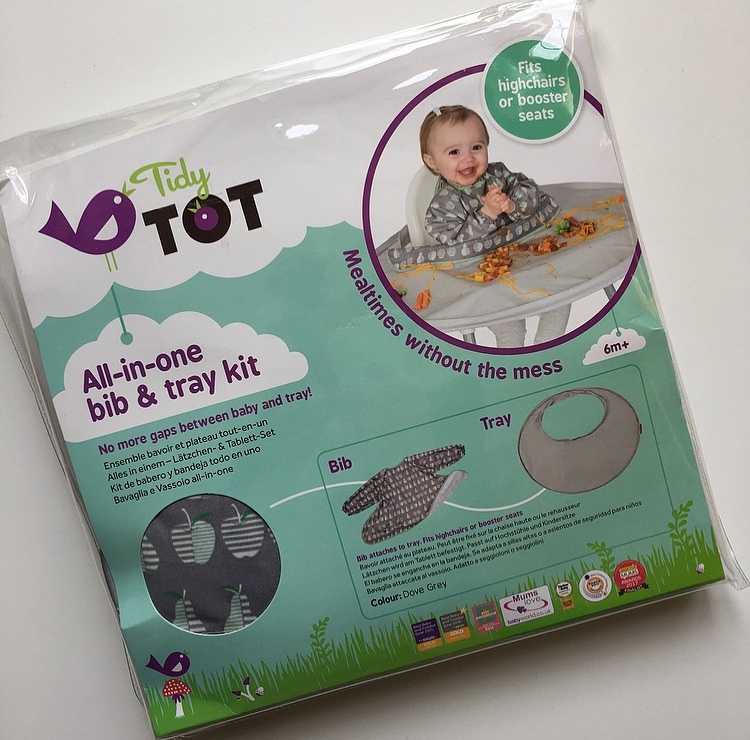 The Tidy Tot Bib and Tray is really easy to use. Firstly pop open the tray then place it over the highchair. 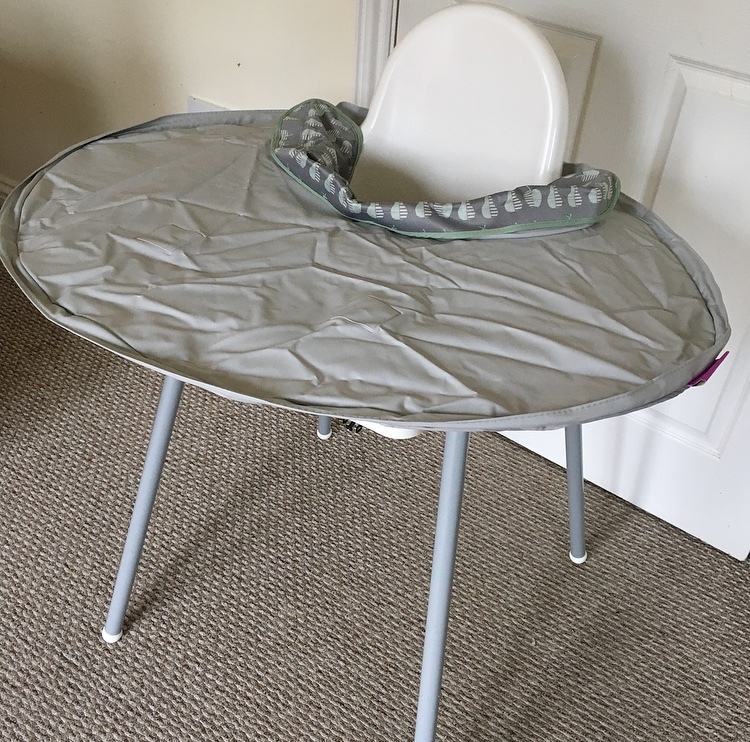 Use the suction cups to secure the Tidy Tot tray to the highchair by pressing down firmly. Then attach the bib to the tray by using the fastening strips. Then you are good to go. I then strapped my baby in securely into the highchair then inserted her arms into the bib and then fastened together around the back. 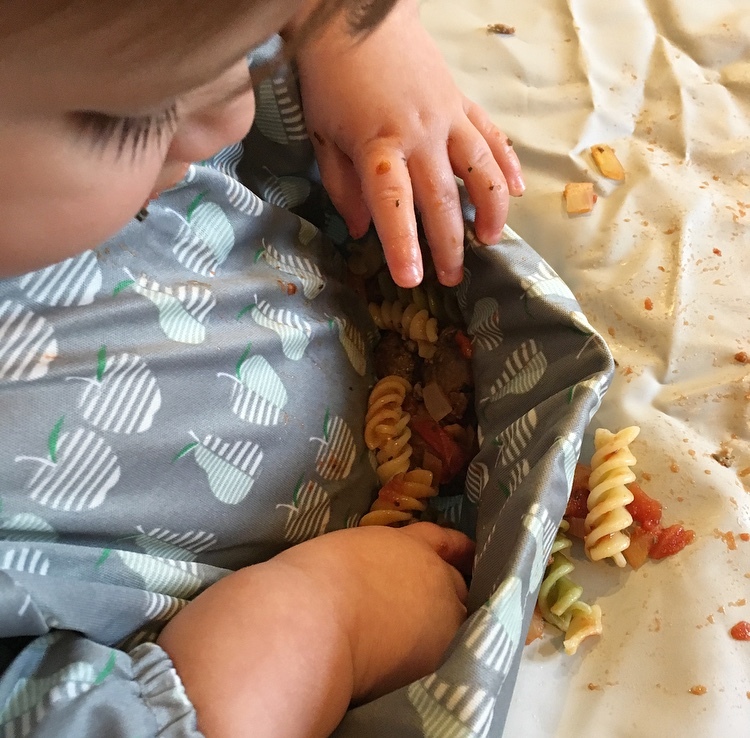 So I decided to christen out Tidy Tot with pasta and meatballs which of course is very messy but when using the Tidy Tot I didn't need to worry at all about the mess. There was absolutely no mess on the floor. All of the food was contained on the tray and in the bib. What my baby enjoyed, was finding the food that she had previously dropped, in the bib meaning she could keep eating. As the tray and bib are attached the bib acts like a catcher ensuring absolutely nothing is falling down onto the floor. This would undoubtedly have landed on the floor if we were not using the Tidy Tot. Once she was finished eating I wiped her hands and face then unattached the bib and pulled her arms out of the bib. There was absolutely no mess on her clothes, not a single tomato sauce stain anywhere. I then unattached the bib from the tray and put it straight in the sink to wash. I then unattached the tray from the highchair by gently releasing the suction cups and because the tray is flexible I was able to bend the tray to tip the mess straight into the bin. I then wiped down the tray with warm soapy water. What would have been a ten minute clean up operation was cut down to two minutes. Once the tray is dry it can easily be folded up and stored in the handy bag that it comes with. The bib can be machine washed but just make sure that you use the wash strip otherwise it may cause snagging of other items.